Six aerospace engineering students have been awarded National Science Foundation (NSF) Research Fellowships. The University of Maryland’s aerospace engineering recipients represent a quarter of all NSF Research Fellowships granted to students in the area of aeronautical and aerospace engineering nationwide, more than any other aerospace department in the country! DeLahunt will attend UMD for her graduate work while Karcher plans to attend the Massachusetts Institute of Technology and Yanes is heading to the California Institute of Technology. Aerospace engineering students represent half of the Clark School of Engineering's total number of recipients for 2014 NSF Graduate Research Fellowships. The NSF Graduate Research Fellowship is the most prestigious national fellowship awarded by the National Science Foundation, and recognizes the outstanding abilities, leadership and accomplishments of our students, as well as their potential to contribute to strengthening the vitality of the U.S. science and engineering enterprise. The NSF fellowship award provides a $32,000 / year stipend, benefits such as a paid international internship for a summer and graduate program tuition. 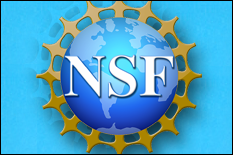 For more information on the National Science Foundation Fellowship Program, which is in its 60th year of funding the next generation of graduate students in science, technology, engineering and mathematics fields, visit their website.